__ Romance? Shrewdness? Chaos driven by the flapping of entrepreneurial butterfly wings? __ Who really knows what causes Founders to fix their gaze upon their startup targets? Fortunately, the three Vanderbilt University alumni who each won $25,000 Sohr Grants for their startups -- while simultaneously pursuing Vanderbilt University degrees -- probably didn't lose much sleep over such questions. They were just too busy. 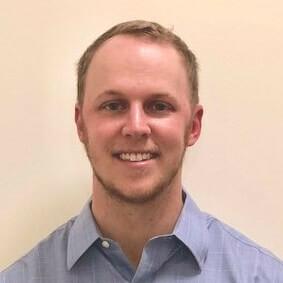 Sohr Grants for students with solid business plans are awarded annually via the Owen Graduate School of Management at VU, with support from OGSM's Center for Entrepreneurship, of which Michael Bryant is director. 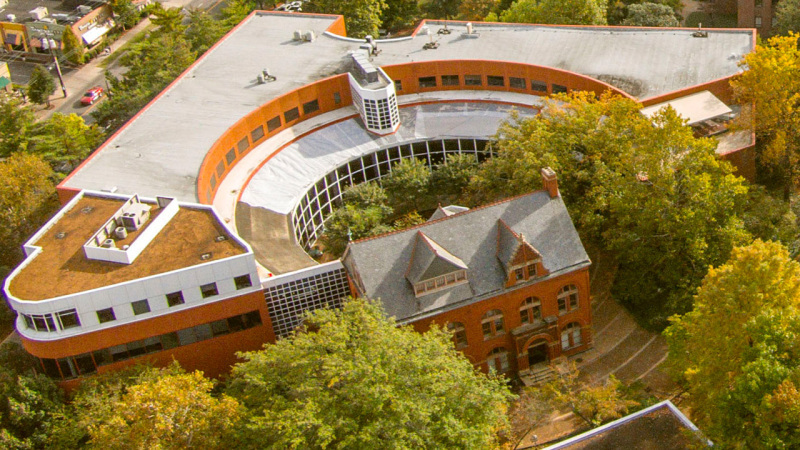 Venture Nashville research indicates Sohr Grants have totaled more than $500,000 since the program began during the 2011-12 academic year. The Sohr Grants aren't easy to win, but they are neither dilutive of equity nor otherwise encumbered. The cash infusions are provided by Nashville entrepreneur and Angel investor Jim Sohr (VU BE '86, MBA '90) and Leah Sohr, his wife. Grants during academic year 2017-18 went this spring to founders of Green Anchor and Let's Room Together. The program's Fall 2017 winner was Leaf Global Fintech, which is led by Founder Nat Robinson and employs blockchain technology to support financial transactions for international refugees and other unbanked populations. Read the VNC story on Leaf here. 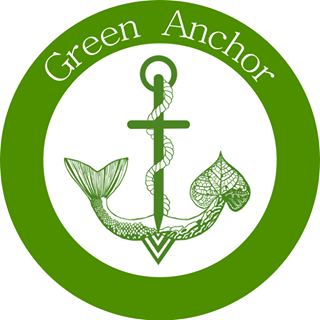 GREEN ANCHOR LLC was chartered in mid-2017 by sole Founder and CEO Rachel Rock-Blake (MBA 18), a Syracuse native. 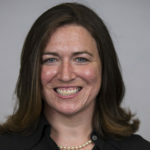 She already holds a master's in Ecology from the University of Connecticut and a Biology degree from Smith College. She previously was a Marine Sciences lab manager, among other duties. Her LinkedIn is here. 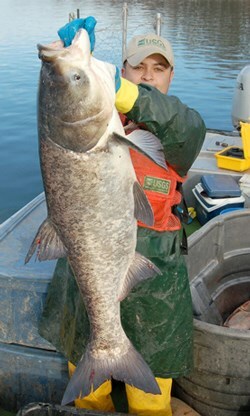 Rock-Blake's company "focuses specifically on increasing market demand for invasive species through a branded certification system," in order to effectively remove invasive species from the environment, while providing consumers and pet-food producers "a healthy, safe, environmentally sustainable, and cost-effective seafood option..." consisting of "high-quality protein," according to an abstract she provided. Those who harvest or sell invasive species under this program can qualify for Green Anchor Certification, which the company says helps ensure a guaranteed minimum selling price. The company's mission is to mobilize and engage fishermen, corporations, educators, state agencies, artists and nonprofit allies to help foster a balanced ecosystem by methodically increasing harvesting of non-native species of fish that have invaded other waters, to the detriment of native fish populations. Green Anchor is currently focused on increasing harvesting of Asian Carp, varieties of which were introduced to U.S. waters a decade ago to help control vegetation, mainly along the Gulf Coast. Carp tend to crowd-out native fish species and consume or otherwise harm waters populated by mussels and other bivalves, all of which have established roles in the seafood sector. Asked whether she expects her company to remain based in Tennessee, 32-year-old Rock-Blake said she'll have a better sense of that by year's-end. Right now, she's working to land Carp customers among large-scale food producers, enlisting Carp suppliers, and expanding her circle of industry and professional advisors. She may sign soon with legal counsel to help her begin formalizing business contracts, she said. The HQ decision will depend on many factors, including, for example, whether she needs to be based closer to pet food manufacturers in Tennessee and the Mid-West; or, closer to producers of foods for human consumption, which are often based in California and New England. LET'S ROOM TOGETHER LLC was chartered in mid-2016 by Co-founders CEO Patrick Morsches (Owen MBA 2018) and Chief Growth Officer Brendon Smith (UNC Kenan-Flagler MBA, 2019). The mission: Help graduate students find roommates through private channels and help them shop for loan options, and eventually other goods and services. Morsches, a 28-year-old Nashville native, said the Sohr Grant should enable the company to operate til year-end 2018. A friends and family capital raise might follow. However, the CEO said relationships with graduate schools and partnerships with corporations and institutions that need to relocate and onboard hundreds of new employees each year could enable the company to grow for a much longer period without equity dilution. With such ends in mind, the company will show its flag next month during the Graduate Management Admissions Council (GMAC) Annual Conference, in Boston. That event attracts more than 800 attendees (weighted toward Admissions personnel), with a projected 230 graduate schools and 28 nations represented, according to GMAC materials. The startup's collateral materials say that a month ago the company had 2,500 active users, as well as corporate sponsors including LendKey, PODS, VillagePM, Blue Apron, VROOM, Prodigy Finance, and Berkshire Communities, among others. How it works: The company says, "Grad students sign up, create a profile, view matches, and message potential roommates. We also recommend products and services from partners that students are actively looking for, such as apartments, student loans, moving, and more." 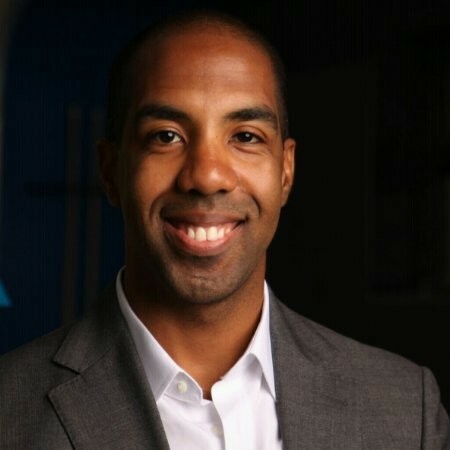 Notably, Morsches is a tech-savvy MBA candidate who previously spent four years working within T. Rowe Price investment operations. His LinkedIn is here. 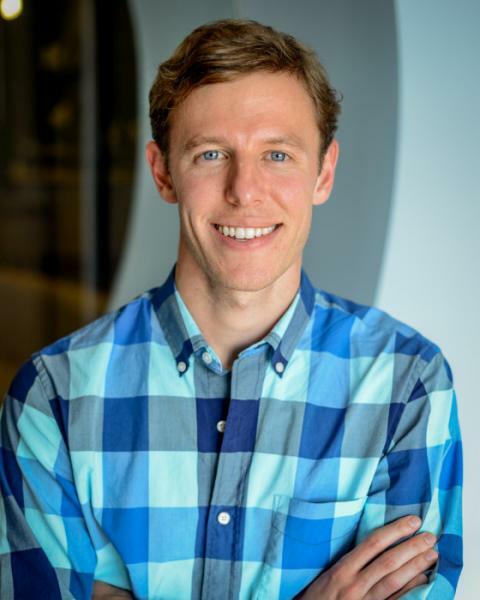 The CEO's cofounder, Smith, previously spent some years as a senior consultant with Deloitte Consulting. Smith's LinkedIn is here. Morsches said the company is still considering its legal and accounting advisor options. ► Newscart--James Murray (2017) provides corporations with contextualized daily updates of relevant news. His co-founder and CTO is Warren Sadler of Nashville. Murray told VNC he is in Nashville monthly, traveling from his base in N.E. Washington, D.C.
VNC research identified several other former Sohr Grant winners from the 2012-13 period who have moved on to other opportunities.